This begins my account of learning to use Apple MainStage 3 for live performance within a worship context. In some respects, its like an old dog learning new tricks. In other respects, it’s like finding new ways of doing the same old things. 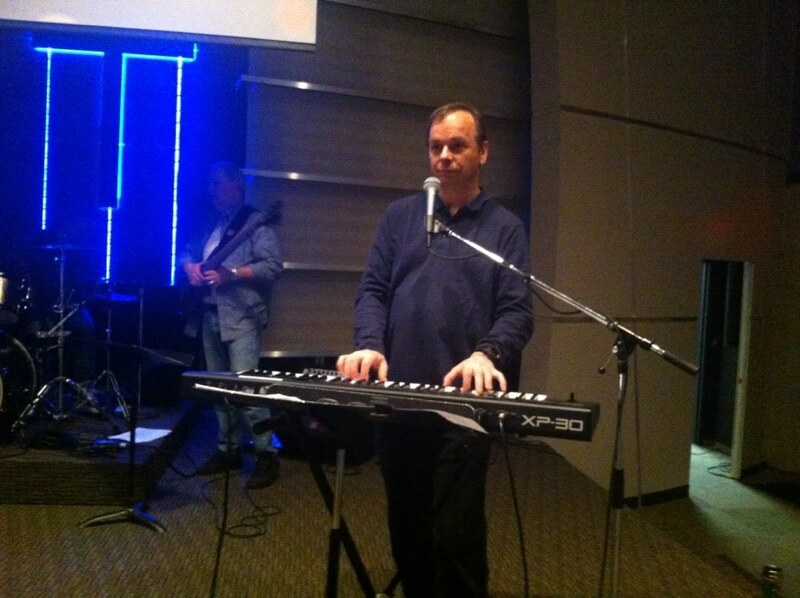 My journey as a Christian and a worshiper goes back to 1981 when I gave my life over to Jesus. I found this new fangled thing at church called praise and worship that was very musically oriented. I had pretty much lost any childhood interest I had in music long ago, was a young man in my 20’s and felt great warmth and release as a byproduct of singing songs of praise to our Lord. There was nothing like it in the world. My involvement in worship ministry began as running sound and playing trumpet with the pastor during worship. We had a two horn trumpet section in our band. This later progressed to guitar, bass, drums and leading worship. During this, I learned how to play piano. At one point the church’s bass was stolen, so I had nothing to play any more. Since I would have to spend money on a musical instrument, I made the switch and bought my first keyboard, a digital piano. This was in 1986, the same year I got married. My first keyboard was a Roland HP-5600, the home model analogous to the original RD-1000 stage piano. I used this at church, at youth and family camp, for prison ministries and more. My next keyboard was a Roland JV-80 61 key synthesizer. I wanted something much more portable, but something with high quality sounds and fully programmable and the JV filled that. The keyboard after this is my XP-30, still in mint condition. It was the logical successor to the JV-80 and was my workhorse up to a few years ago when I bought a Roland RD-800 stage piano. I stuck with Roland because I was always happy with the sounds, and the model they used to organize how the synths work. The RD-800, though technically not a synthesizer, still resembled the same usage model (and still packed a good assortment of synth sounds in it). During all this time I had converged on a straightforward usage model that I have stuck with since the 1980’s. I would start with a primary sound consisting of a piano or electric piano sound, and then layer with this one or more pad, strings, organ and/or brass type sound. In the earlier days, this involved combining MIDI sound generator boxes with my digital piano. With the JV-80 (and since), I have been able to do it all within the keyboard. With the JV-80, I could layer up to three tones before the polyphony limit (28 voices) became noticeable in terms of older notes cutting out as new ones are played. With the XP’s 64 voice polyphony, this issue was more or less gone, as with the RD-800. The other area I quickly converged on was a simple approach to how to adjust sounds. In the early days, you just adjusted the dials on the hardware. With the JV-80 came an assignable “C1” fader, but the “cat’s meow” was when I added an expression pedal to my gear. So I would typically have a three layer patch on my JV-80, with a primary sound set (typically piano, or EP), the background sound would be controlled by the C! fader, but the strings sound would be controlled by the expression pedal. It was great to bring the richer sound into the mix using a foot controller rather than reaching over to a fader or dial. With this, there would typically be a button or two to turn on effects such as chorus, reverb and/or tremolo and sometimes a dial to tweak a parameter. The XP-30, being a next generation of the same family of synths, had a facility that allowed me to import all my JV-80 patches, giving me a start point that was right where I left off from the JV-80. Instead of the C1 fader, it had four assignable faders C1 to C4 that could also be bank switched into two other functions, one being Attack, Decay, Cutoff and Resonance controls, the other being a 4 channel tone / part mixer. The XP-30 had a much more comprehensive sound library, however, I still found that for worship, mostly all that was used were pianos, EPs, pads, strings, organs and occasionally brass or an analog synth sound. There were a few experiments that I did using techno sounds and arps, but these never really caught on at church in those days. 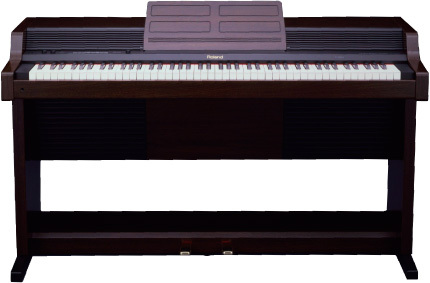 The RD-800 represented another sound library update (as piano and EP sounds get dated after a few years), but also a switch back to full size piano keyboard size. I pretty much carried forward the same style of patch combinations to the RD-800. More recent additions to my pallet of sound have been to add some of more contemporary effects to the layers, such as a second instance of the piano at an octave higher that is easy to switch in and out. (This is actually something I back ported to hardware from something I learned playing with MainStage). Since using the RD-800 (probably more a reflection of the times) I have been able to add more brass and analog synth sounds (even some pulsating sounds) into the mix. I want to be able to add to what I have from my hardware, for example to be able to update my sound library without having to buy an expensive new keyboard. I want to be able to experiment with newer trends in keyboard usage in worship such as integrating loops, sequences and samples as part of my sound (as these are more in common use today). 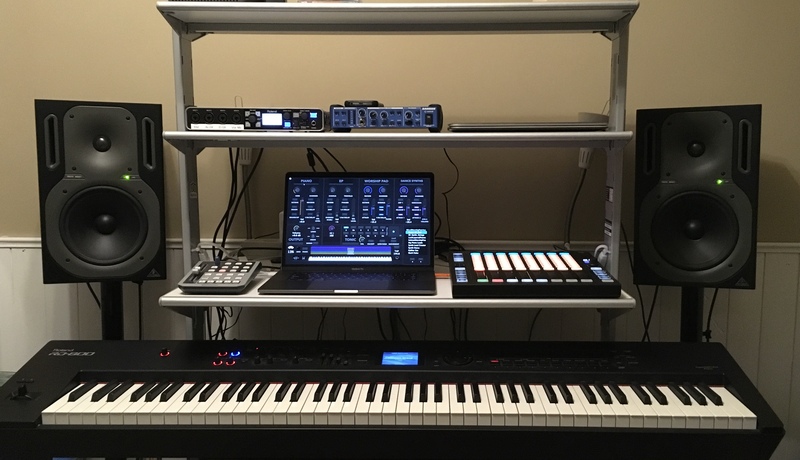 I want to be able to replicate what I have on my hardware, in software, so that I have the option to pack less gear to venues that have good keyboard controllers available for use. It didn’t take long to realize that out of the box, MainStage doesn’t come with much to make it ready for use. Fortunately it is well supported by community and has a fairly comprehensive ecosystem of templates, patches and sounds available. I prioritized my efforts in relation to learning and developing my MainStage setup, in reverse order to the items given earlier. Have a MainStage equivalent to everything I commonly use in my hardware so that I have option to pack less gear to rehearsals and services. Work out a model of usage that can be consistent across the various host keyboards I am likely to use. Experiment with integration of other stuff I have such as Native Instruments Maschine JAM (a pattern based sequencer with comprehensive sound library of its own). Look at upgrading specific primary sounds (for example, pianos such as The Giant, Alicia’s Keys, and more). So I have my work cut out for me over the next while. Previous PostPrevious Truth Is Cheap … Or Is It?